repeat step one with the second group, but with using the purple string. repeat step 1 and 2 with the third group and with using the yellow string. make each mini alpha pattern even with one another. 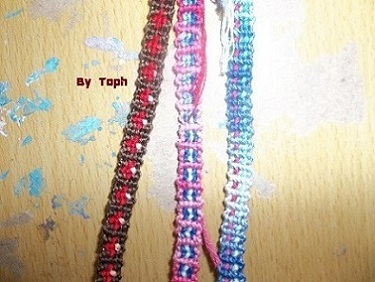 Make each mini alpha pattern a little longer than the length you want your bracelet to be. 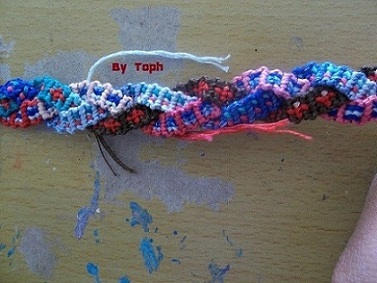 when you have finished step 4, braid the alpha patterns together until the length you want your bracelet to be. NOTE: you can use as many strings as desired but make sure each group has the same amount of strings. 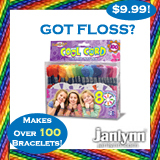 The original author of this tutorial is funny_llamas, but it has also been edited by friendship12396, Jeckle, Sareana, Kestrel, Alicat, bracelets123321, kleinevos and jnay28. The tutorial was last updated 4 years ago.